A-Man’s Occupational Therapist sees us six months on, six(ish) months off, and during the off time she sets us up with some goals to work towards. Many of our goals for A-Man were geared towards getting him ready to start school. 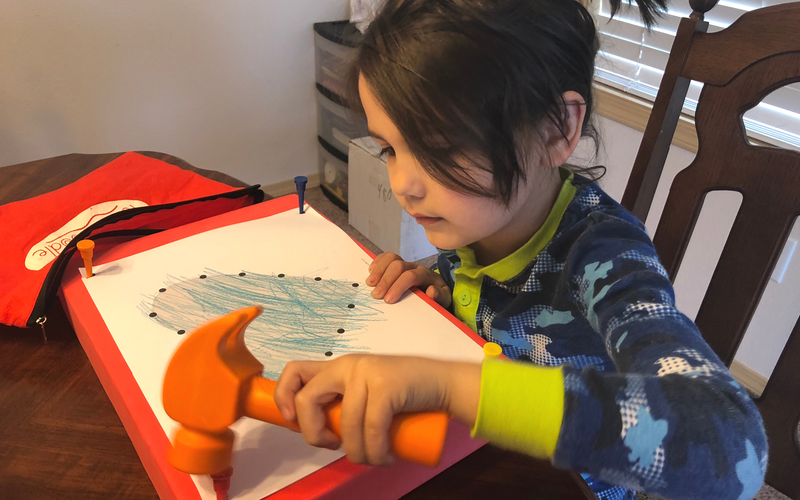 Of course, we homeschool, but there are a few things we needed to work on before we felt confident with him starting “kindergarten”, even in a homeschooling setting. One of those goals was to work on building his fine motor strength, and another was to expand the length of time he would tolerate a table activity. Thankfully, we found one activity that combines both of those goals, and he can do it independently! 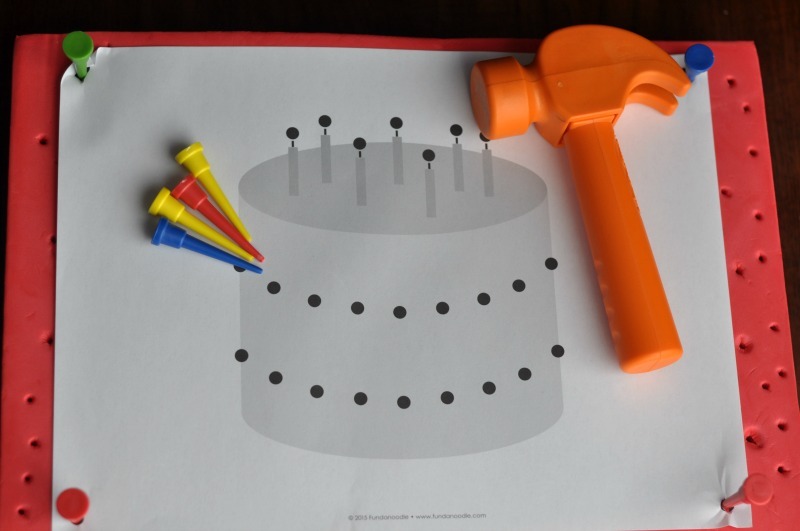 I’ve been asked if you can recreate this activity with a foam block from the craft store and a toy hammer. Technically, yes. But you’ll miss out on some of the fine motor strength benefits that come with the I Can Pound! Kit. Specifically, the weight of the hammer, the density of the foam board, and the specifically shaped pegs. 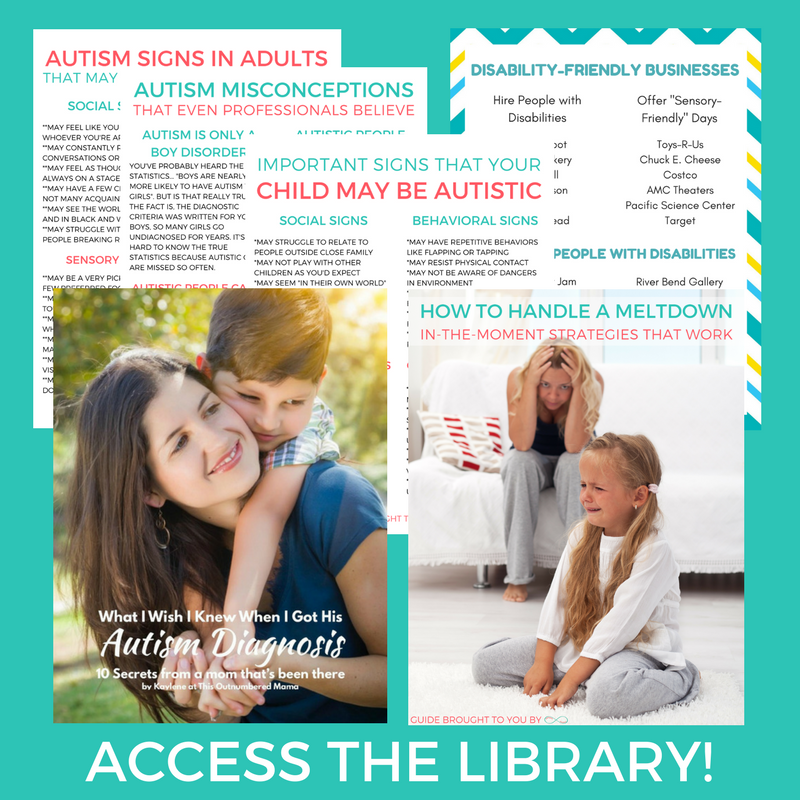 Are you ready for the most simple table activity set up ever? Put the block on the table. Put one of the sheets on the block, there are over 100 to choose from. Put the included bag with the hammer on the table, and let your kid get to work! If your kid isn’t quite ready to push the pegs in by themselves, or needs a little guidance you can put some or all of the pegs in for them. For older kids you can put the pegs into the four holes that hold the paper. I do these if Cap’n M is going to be using the pound kit with his brothers because he can get a little excited with the paper. 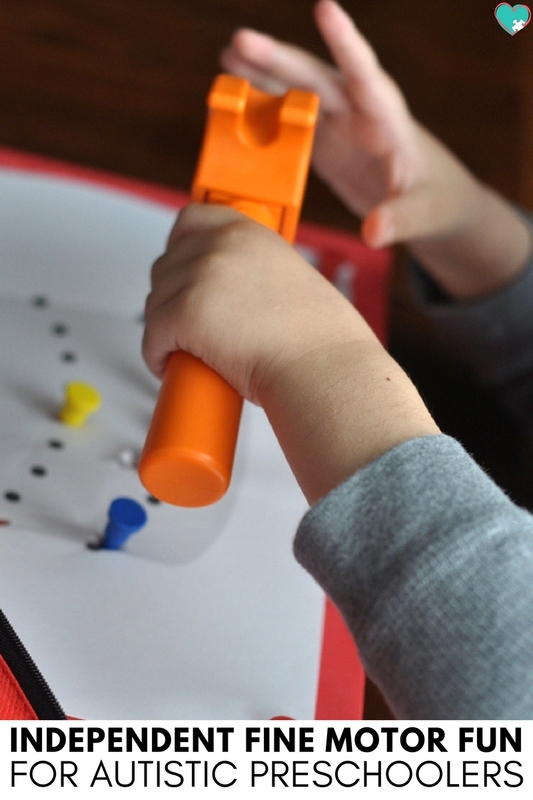 For younger kids, you can gently push the pegs in to the dots on the provided sheets just enough that they stand on their own, and then your kids can pound them in the rest of the way. The main premise of this independent fine motor activity is to pound the pegs into the dense foam block. See, the I Can Pound! Kit comes with over 100 dot to dot sheets from fun designs to letters and numbers. Kids can place their pegs into the marked dots and pound away. Placing the pegs in the dots helps kids work on their hand eye coordination, and you can also use the pegs to create color patterns. 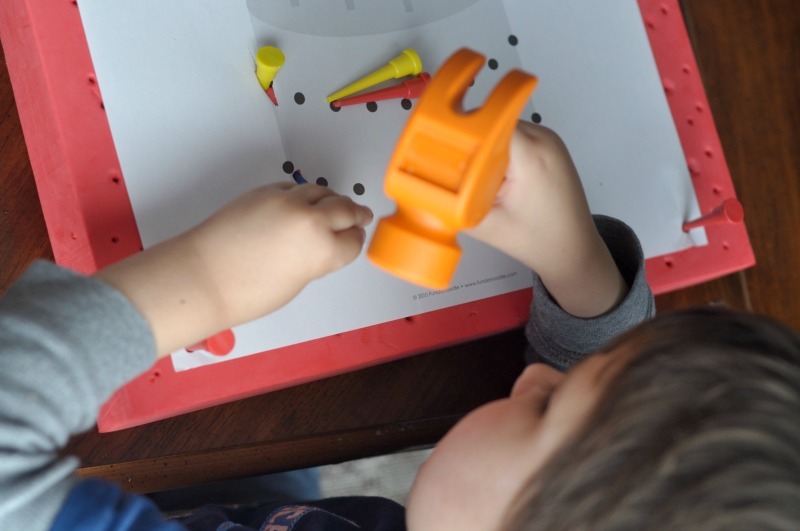 Once all of the pegs are pounded in, your child can either use the back side of the hammer or use their pencil fingers to pull the pegs out one at a time. Because the foam block is so dense, it takes quite a bit of strength to pull the pegs out, so again, we’re working those fine motor skills in sneaky ways! 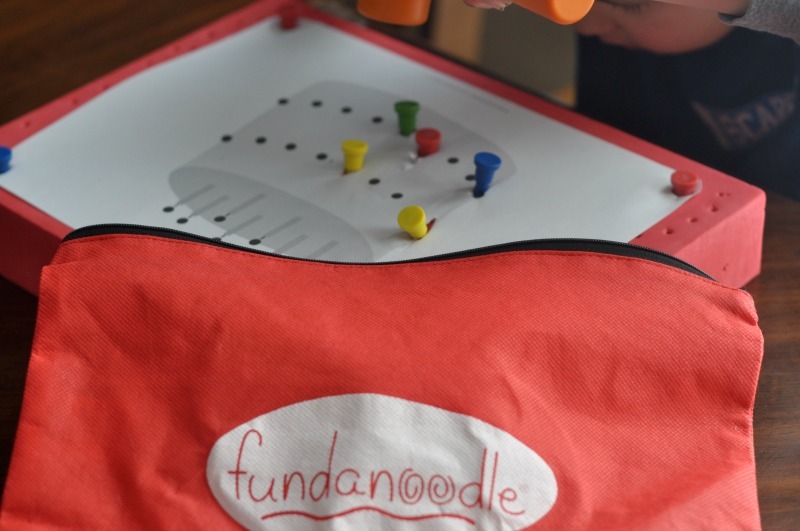 We love to use our Fundanoodle I Can Pound! 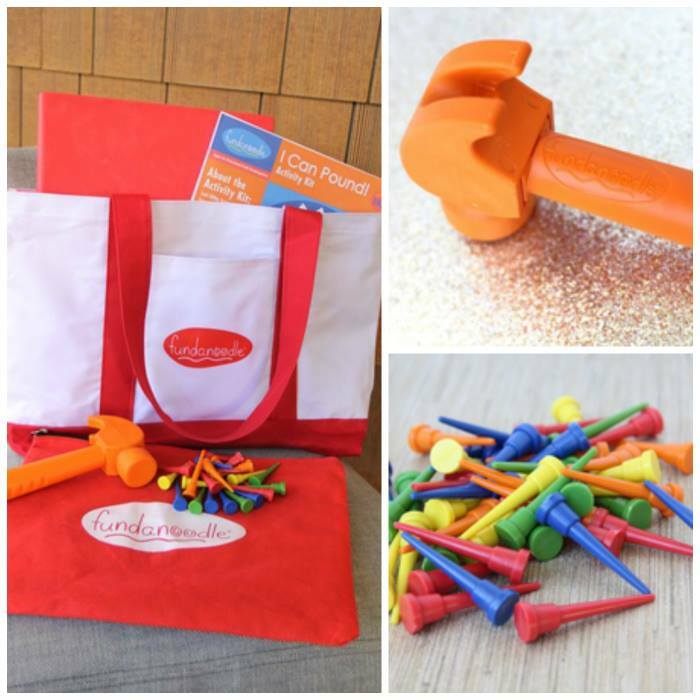 Kit to help build fine motor strength for all of the boys. It was developed with the help of pediatric occupational therapists, so it builds hand strength in sneaky ways. The hammer is weighted and top-heavy, so kids have to really grip it while hammering. 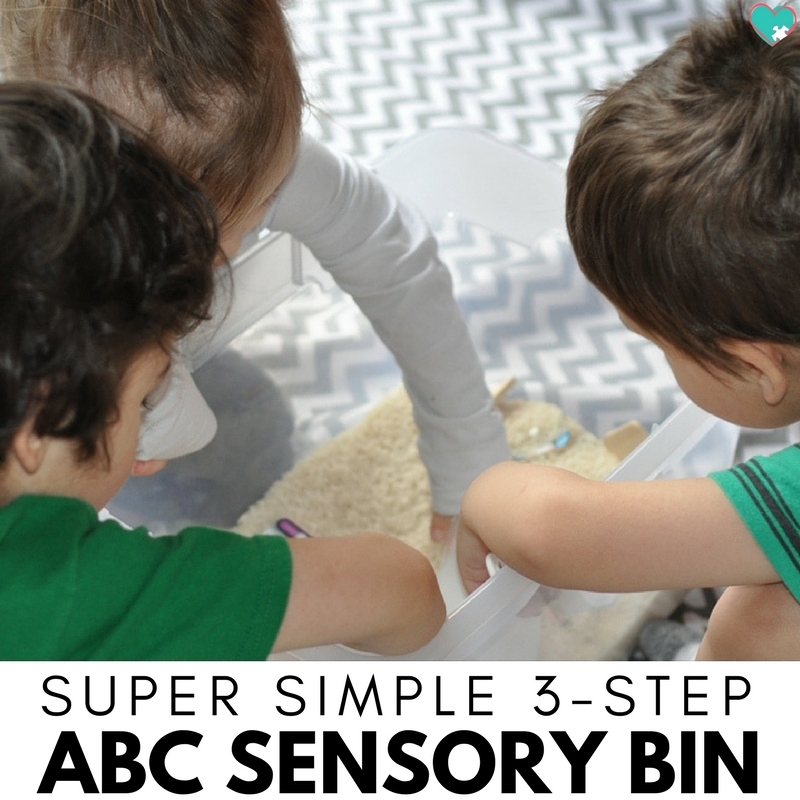 It provides some really nice heavy work for sensory kiddos as an added bonus. The pegs are shaped and sized so that kids have to use their “pencil fingers” when pushing them into the block and while pulling them out. Six months ago we were lucky to get A-Man to sit at a table and focus on an activity for ten minutes before his attention was gone. Part of that was because of his dyspraxia. He didn’t like to try new activities because he had to really think through every movement. Part of it was also his autism, which gives him very rigid thinking. With the I Can Pound! Kit, we’ve increased that focus time from ten minutes to a full hour (and sometimes longer)! We’ve noticed that it mainly keeps him involved and entertained because he only realizes that he’s working and focusing for short bits of time. While he pushes the peg into the board, and while he pulls them out he has to really focus on his finger movements. But he’s almost instantly given a break while hammering the pegs in. I mean, he’s still working his hand muscles because the hammer is weighted, but he doesn’t realize it because that part is so fun. We like building instant gratification into our fine motor activities for A-Man. This is really what it boils down to. While yes, this post about the I Can Pound! 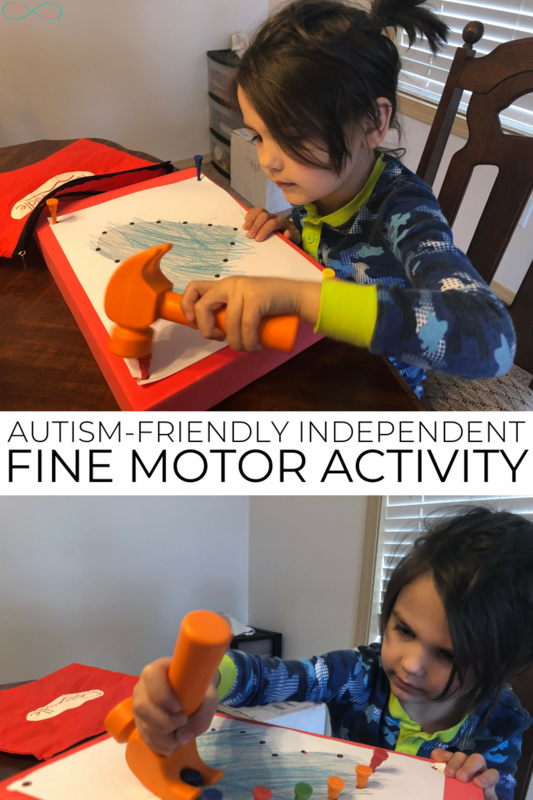 Kit it about using the kit as an independent fine motor activity for autistic preschoolers, it’s really a fun activity for all kids. Even my husband likes to play with our I Can Pound! Kit. 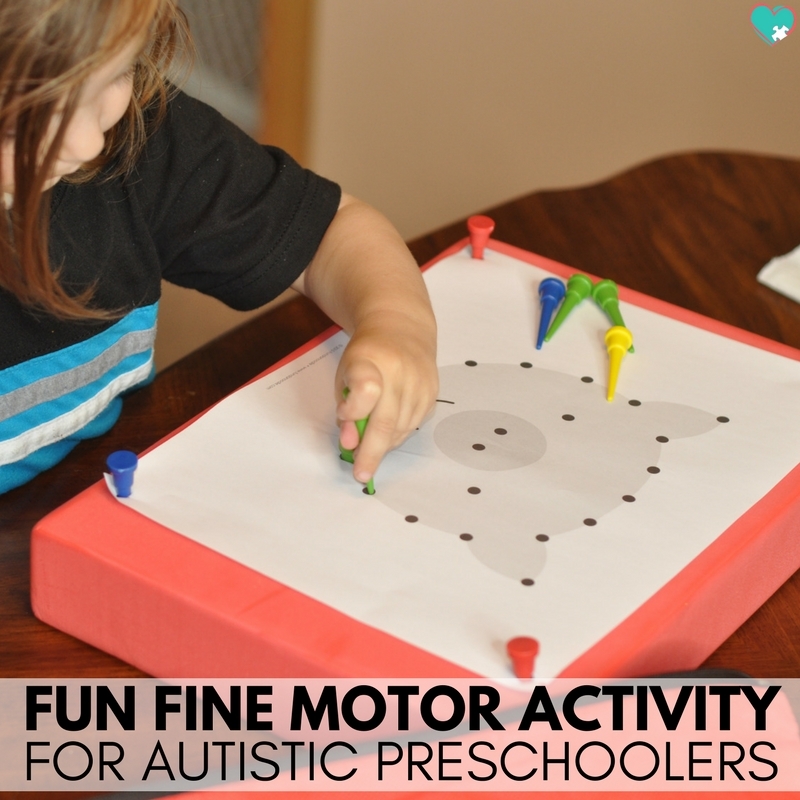 This activity is good for any kiddo who needs to work on fine motor skills. 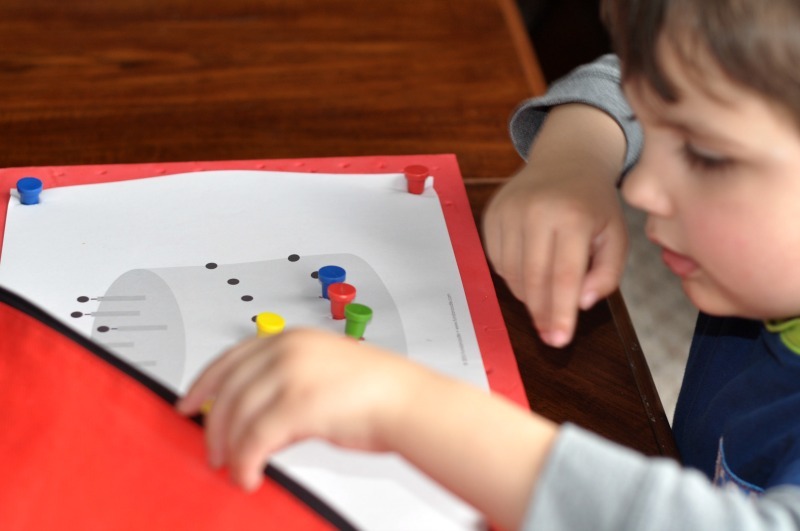 We use it for Mr. C to improve his handwriting without making him fill out workbook after workbook of handwriting practice, and we used it with Cap’n M when he really struggled with his hand strength because of his developmental delay. How Can I Get a Fundanoodle I Can Pound Kit? You can order your very own Fundanoodle I Can Pound! Kit here. I hope that it provides you and your family with as much fun as it has mine! 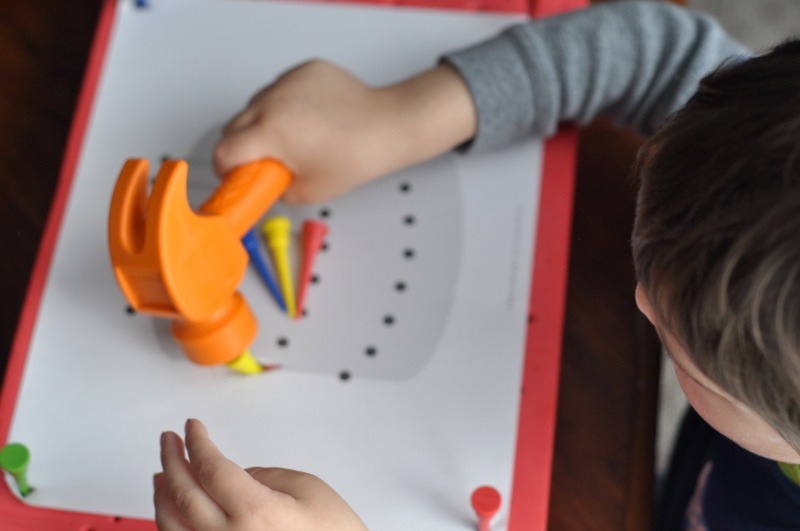 I love to use the pound kit as a fun independent fine motor activity for the boys while I’m getting work done or when I need to keep the littles busy while teaching the bigger kids a homeschool lesson.